GRAND LAUNCH @ KUNDRATHUR, (KAVANUR VILLAGE) MUTHAMIZH NAGAR. 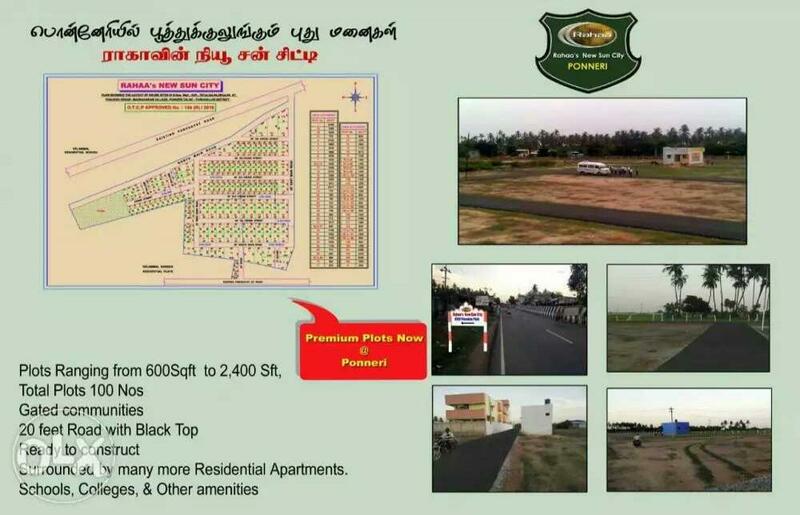 A PRIME RESIDENTIAL LOCATION LAYOUT WITH 57 CMDA APPROVED PLOTS IN VARIOUS SIZES STARTING FROM 970 SQFT to 2002 SQFT. @ FIXED COST PRICE OF JUST RS. 2100/sq.ft. only. LANDMARKED @ MADHA ENGINEERING AND MEDICAL COLLEGE.